Agra is a difficult place to fall in love with, we all know my personal views on the Taj Mahal and therefore the inclusion of Agra as a destination into any itinerary for India, regardless of other destinations and actual holiday preferences. BUT, if you are going to visit Agra, take time out to appreciate the city for what it has to offer, because, there is far more to it than meets the eye. Did you know, for example, that there are actually three Taj Mahals? 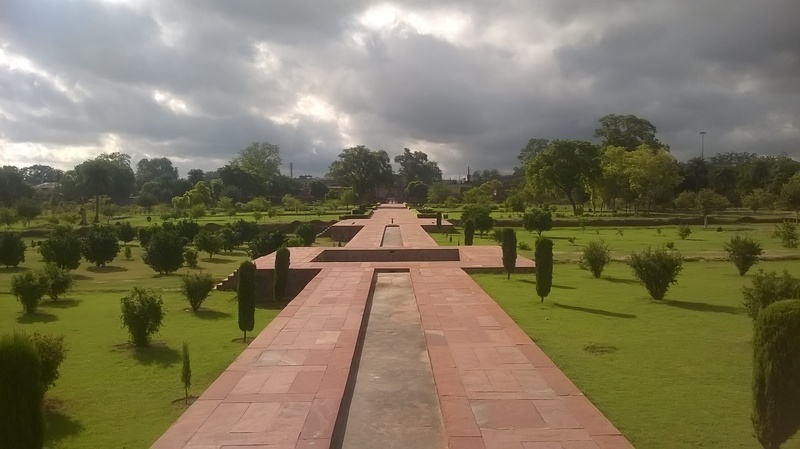 Did you know the first ever Mughal Garden was built in Agra and still remains today, in a pretty good condition? Did you know that the North West Province was run from Agra from 1803 – 1858 and it has one of the best preserved cantonment areas in the country? Did you know the first ever telegraph in India was sent from Calcutta to Agra in 1854? Did you know that despite all of the tanneries being closed down to preserve the Taj Mahal it is still the centre of leather and there is a great shoe market held most mornings? Ladies! Did you know that Queen Victoria’s munshi (teacher) Abdul Karim, about whom there was a certain amount of gossip at the time, came from Agra and retired back there after her death? Did you know that there is a brilliant bird sanctuary there, and no, I am not talking about Bharatpur? Did you know that Wildlife SOS, now that it has saved all the dancing bears, in addition to its bear rescue centre, now has an elephant rescue centre on the outskirts of the city? So, of course there is THE Taj Mahal, about which I will not write, a plethora of stuff written about it already and lets face it, if you’re going to Agra you will undoubtedly go and visit it so you don’t need me to persuade you or fill you with any more misinformed facts and figures. However, whilst you are at it, take time out to go and visit the tomb of Itmud ud Daula. At the time of its construction it achieved various firsts; it was the first tomb to be built out of marble instead of sandstone, it was the first monument which was built on the river bank – prior to that there had just been a series of pleasure gardens adorning the Yamuna, and it was the first to use the pietra dura work, which is the inlay work of semi-precious stones. Less imposing maybe but, in my opinion, it is a finer monument, the work is more delicate and its white marble glistens and dazzles against the brilliant blue skies of a winter’s day. Whichever route you take into Agra from Delhi, you have to pass Itmad ud Daula, and I can’t think of a reason not to stop and marvel at what is commonly referred to as the precursor to the Taj Mahal. Then there is the tomb of John Hessing. This is situated in the Roman Catholic cemetery which is quite interesting to wonder around in its own right. 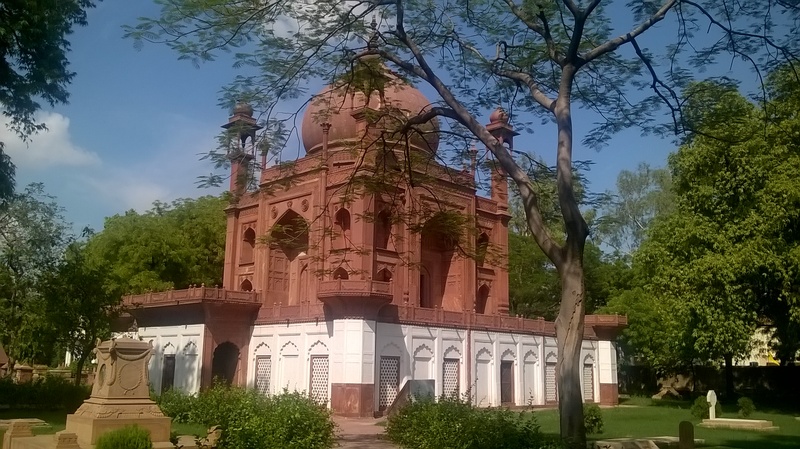 However, John’s tomb, is a replica of the Taj though made out of red sandstone and for the romantics out there, it was also a monument built out of love found and then lost, his widow, inspired as much by the architecture as the story of heartbreak, constructed it after his death in 1803. Guess what? Barbur the Great, conqueror of India and the first Mughal Emperor didn’t much care for Agra either. He came and conquered but didn’t like the place at all, he missed the streams and hills of home, and finding the heat and dust oppressive he decided to commission his very own pleasure garden. It was, and still is, adjacent to the river (that is not as obvious a statement as it sounds, places built in Delhi adjacent to the river, no longer are) to take advantage of the cooling breeze and water supply so that fountains could be made, water channels created on different levels flowing into each other and water easily provided to nurture the shady, fragrant trees which were planted, chosen carefully to bearing fruits aromatic blossoms. In addition to that, he had ice sent from Afghanistan, by horse! Each horse could gallop approx. 2 miles, the first set off with a huge block and by the time it reached Agra, there was still enough to chill his drink. You can still see a couple of these staging posts on the old Agra road. Fanciful story or not, I quite liked it and so included it here for you. Consensus: Definitely worth a visit for an hour, take a picnic. 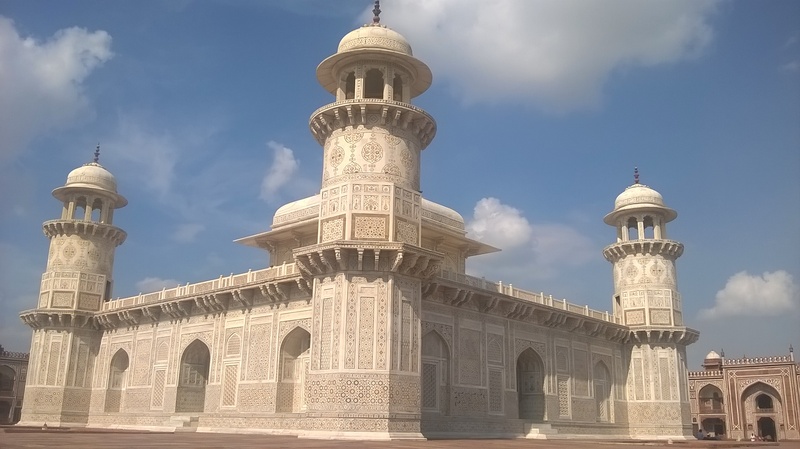 It is sixteen years since I first visited Agra, I have since been maybe six or seven times, but it wasn’t until I went to truly explore the place that I discovered it’s cantonment area. It is not even as if one has to look hard to find it, it’s right there, in all its former glory for all to see. ‘Cantonment area’ sounds so dull, this is far from it. Agra is dotted with some of the finest colonial buildings (take the post office and the university), churches, cathedrals and terribly British style bungalows in all of India. There are there, blatantly sitting there in all their former glory, proudly shouting out to be heard in a futile battle against the more vociferous claims of the Taj Mahal. Visit a colonial bungalow, take a stroll around the post office, you can even send a post card (remember those?) home. The telegraph office is, albeit inadvertently, like a museum, only because it hasn’t been updated since its inception – no one tell them now, it would only get ruined in a well-intentioned but ill-advised make over. Sorry India, I love you but I have seen too much destroyed by modernity. It is possible to take a tour of this area, starting off with tea with a historian in the ‘Britisher’s Bungalow’ which has been in the family for generations – well worth the effort I’d say. Headed out the same way as Sikandra (travel to Delhi from Agra on the old road and you first come across Wildlife SOS and then Sikandra, visiting from Agra itself it’s in reverse) is Wildlife SOS or the dancing bear rescue sanctuary. Kalandars, a nomadic people, made their living from forcing sloth bears to dance, originally for the Mughals over 400 years ago but more recently, plying villagers, highways and generally anywhere they could make a living. Cubs were stolen from mothers, and they were tortured in order to make them dance but thanks to the excellent efforts of Wildlife SOS, the last dancing bear was removed from the streets in 2009. Of course, they didn’t want to see the Kalandars out of work and destitute and so they initially started by introducing rehabilitation programs education programs for the children and work for the women. It is a wonderful success story, in fact it has been so successful that Wildlife SOS, whilst still caring for the bears, have now set up a new rehabilitation centre, 10 kms away for rescued elephants. 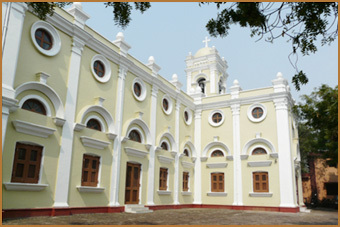 At either centre, it is possible to go for a quick visit have a two hour tour or enrol in longer volunteer programs. Book ahead, there needs to be someone to show you around and particularly at the elephant sanctuary, there are certain times when it is better to visit – such as when they take the females for their daily walk. Hi there! I discovered you blog fairly recently and enjoy reading your post. Keep writing. Also, I agree that the Taj is probably overhyped. yes Taj is over sold and rest are hidden treasures in and around Taj COULD NOT expose to the world. And Agra become a same day destination. Which is very sad. Time to talk about Agra beyond Taj Mahal. just 60 km away from Taj Mahal , there is a lovely Bird sanctuary called Chambal Bird sancturay and Bateshwar famous for cattle fair online of Pushkar fair. But it is not marketed well. You must know that first Bird festival in India took place in Agra at Chambal last year. No body knows and visit the Tomb of MOTHER Mumtaj Mahal “Deewanji Begam” , “Humanyu Mosque” Friends, if you want to experience Agra as a Destination and want see places and sites beyond the Taj Mahal has to stay at least 02 to 03 nights. I guarantee Agra has all what need a tourists to keep engage. only need support.